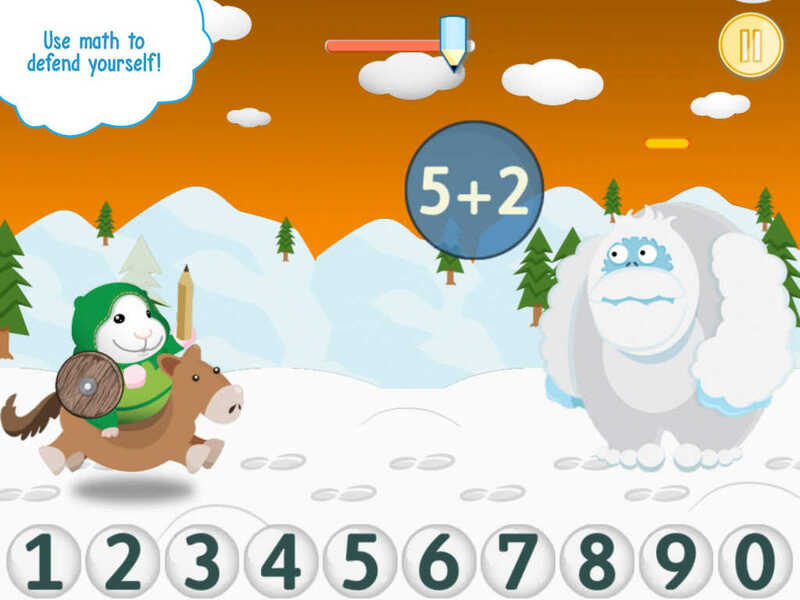 Bugsy in Math Kingdom is a math drill adventure game that aims to help children master basic addition and subtraction operations. We believe that drill games are beneficial because they have the potential to help kids strengthen their mental math skills, enabling them to stop using their fingers and other props to perform basic math calculations. Math sheets and flashcards are still widely used in classrooms all over the world, and they have proven to enhance basic arithmetic skills. With Bugsy in Math Kingdom, we applied basic gaming principles to entertain, engage, and motivate students to practice math. 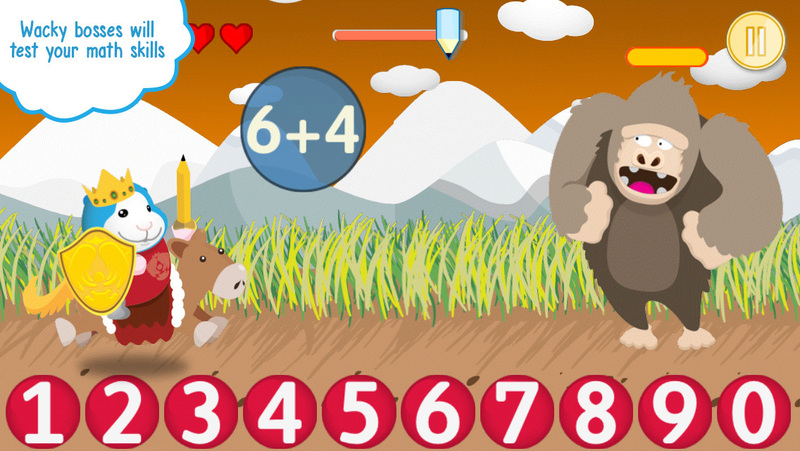 We hope to enable children to increase their mental math speed and accuracy without them even knowing it! - Basic Arithmetic — addition & subtraction up to 99. - Self-Adjusting Play Speed — makes the game manageable for children with different skill levels. - Carefully Designed Game Mechanics — playing is as easy as typing the answers to a math problem. 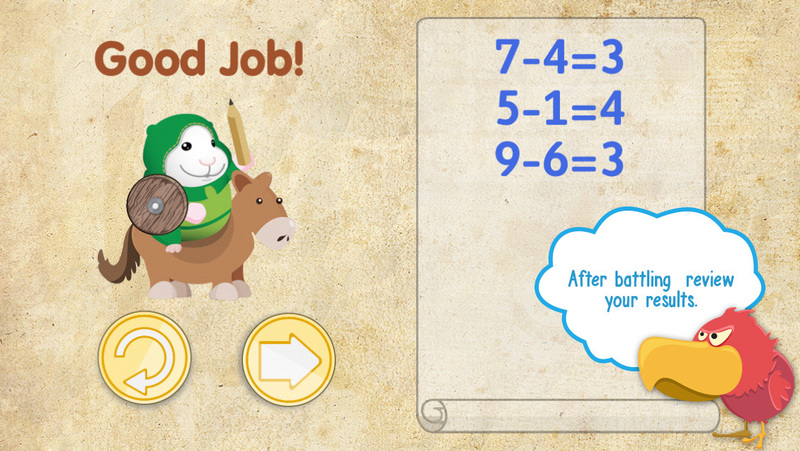 - Easy & Hard Game Modes — choose the right challenge based on your child's skills. - Track Learning Progress — see how well your child is doing on each level. - Developed By An Expert — app development process supervised by an early childhood development expert. 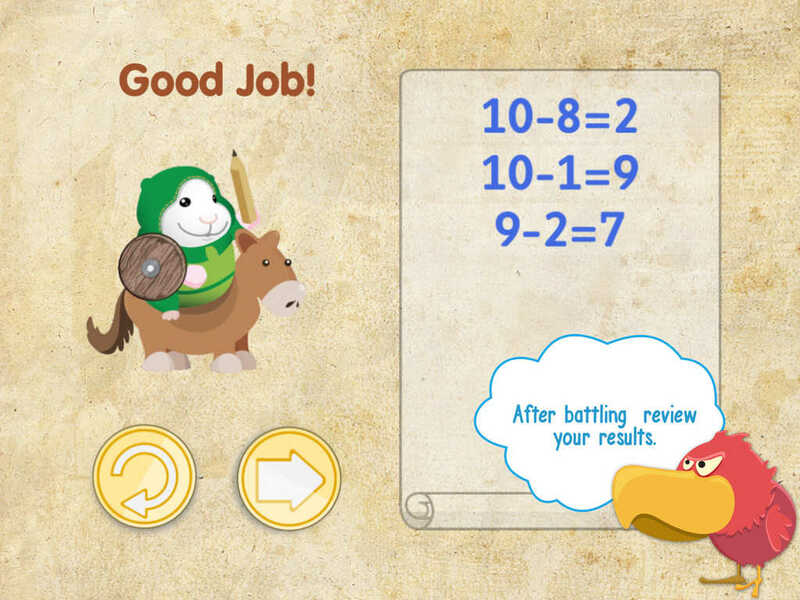 - Engaging Story — a classic hero tale about rescuing the princess, with math as the only weapon. - Cool Badges — help Bugsy earn badges by completing levels without missing any questions. - Engaging Characters — that blue hamster does some pretty funny stuff, but the real excitement lies in the cunning enemies. - 12 Levels — Each with its own landscape, enemies and bosses. Bugsy Pre-K — fundamental skills for the younger crowd. Peapod Labs. Connecting kids & parents. Peapod Labs is focused on creating learning experiences both in the physical and in the virtual world. Our goal is to apply user-centered design and current technology breakthroughs to rethink existing teaching tools, methods, and techniques and come up with new innovative ones. Your comments, feedback or questions are always welcome. Please e-mail us at support@peapodlabs.com. And check out our website for more info about us. Thanks!